Impressed by her private sector qualifications and intended focus on economic development were key reasons according to Barlow for his endorsement. 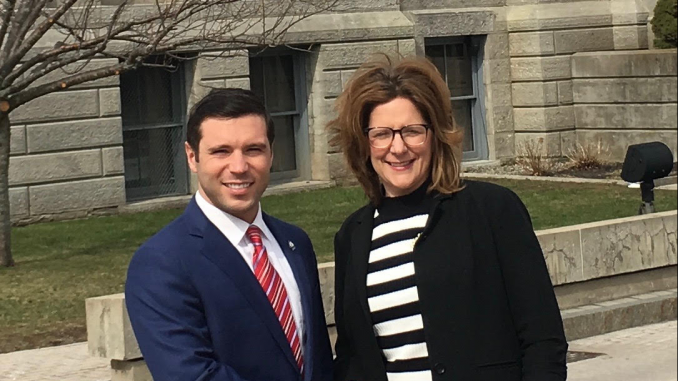 FULTON, NY – Oswego City Mayor Billy Barlow endorsed Deana Michaels for mayor of Fulton. Michaels, a first-time candidate recently filed petitions to appear on the Republican, Independence and Conservative Party ballot lines. She is a resident of Fulton and longtime community volunteer. School of Banking at the University of Pennsylvania. She has additional training at the Women’s Campaign School at Yale University and the Wharton Business School where she earned a certificate in Leadership. Is doesn’t matter billy backing her won’t change the fact she will raise the taxes and run the place into the ground. It will be a negative impact on our city with her running it. Not to mention look what he did to the fire department! We want that here in our city? This isn’t a bank these are people. No one wants her she is not a good person. 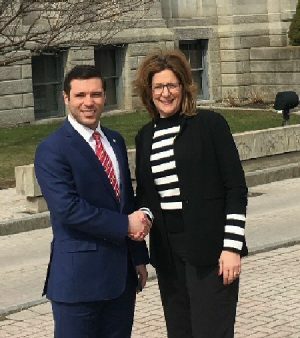 Mayor Barlow has done so much for Oswego and I trust his judgement in choosing Deanna Michaels and further connecting the 2 cities. Fulton needs all the help it can get from the both of them combining the 2 citys. Mayor Barlow has done so much for Oswego. I think it is the best thing that could happen. What will we call it Foswego. We can not combine the two. Sharing ideas is one thing. Barlow has no vote here we the citizens of Fulton do. Our issues are in much more dire straits then oswego. Doesnt she have her own ideas. What is she going to do for us ???? BOB C, I actually think that her working at a bank will be a positive. In her years at Pathfinder she has been able to be involved in many projects. Those projects included numerous community/county partners. Those contacts could become valuable for our city, it also shows her leadership skills being able to do so. ME, so what makes her a bad person? The fact that she raised her son here? The fact that she is employed in the city? The fact that she has been involved in many civic organizations? The fact that she has many connections from years of her volunteering in many capacities? The fact that she has no criminal record? The fact that she is being endorsed by many others? Hmm please let me know why she isn’t a good person. You seem to know something that hundreds and hundreds, if not thousand don’t know.